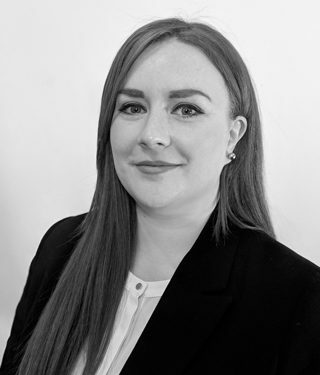 Matilda joined Chambers in 2018 after successful completion of pupillage. Matilda accepts instructions in all areas of crime and civil law. Matilda is a Grade 1 Prosecutor and regularly acts on behalf of the CPS in Crown Courts around London and the Western Circuit. Matilda prosecutes and defends in equal measure for all types of hearings in Crown Courts including trials, applications under POCA, sentencing hearings and appeals against conviction. Having completed multiple CPS lists and defence trials, Matilda has extensive experience in Magistrates Courts including education matters for the Council. Matilda has secured multiple acquittals and conditional discharges for the clients she has defended. Matilda’s civil practice encompasses Stage 3 hearings, Infant Approval hearings, road traffic matters on the small claims track and various civil applications. In addition to crime and civil, Matilda regularly represents the Home Office at the First Tier Immigration Tribunal for asylum and human rights appeals. Before pupillage, Matilda worked at the International Criminal Court in The Hague where she was intern to the presiding judge during Laurent Gbagbo and Charles Blé Goudé’s crimes against humanities trial. Matilda has a keen interest in international affairs and linguistics. Matilda is fluent in French and currently teaching herself Italian. R v J (Inner London, 2018) – secured a suspended sentence for her client’s second conviction for possession of a knife. The court was persuaded to depart from recent guidelines. R v S (Snaresbrook, 2018) – successful prosecution of a 19-year old for dangerous driving. Trial involved identity and bad character issues.